This research topic explores how movement and exercise can help older adults maintain independence and continue participating in the activities they love. We are leading research exploring how movement and exercise can help maintain and improve mobility. Fractures and falls are a major concern for older adults, but there are simple ways to reduce the risk. Moving just a little bit more throughout the day can help keep muscles strong. 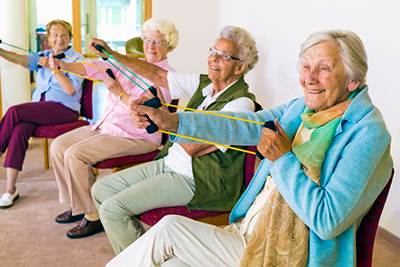 Research is used to help develop safe and effective exercise programs, to help older adults stay fit, strong, mobile and independent.